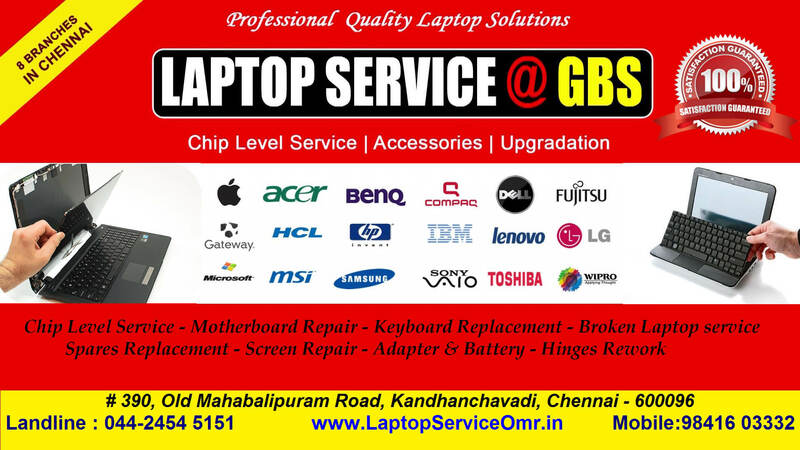 GBS SYSTEMS & SERVICES PVT LTD well known as GBS today, was established in the year 1994, as a proprietary concern partnering with Intel from the first day of its inception. The next achievement was its establishment as a Private Limited Company in 2006. With the esteemed ISO 9001 certification in 2008 raising the company on par with major players in the industry, GBS has evolved into a Total Solution Provider and partner of reputed companies. Our Brands Acer, Apple, Asus, Benq, Compaq, Dell, Fujitsu, Gateway, HCL, HP, IBM, Lenovo, LG, Micromax, Microsoft, MSI, Samsung, Sony,sony vaio, Toshiba, Wipro. 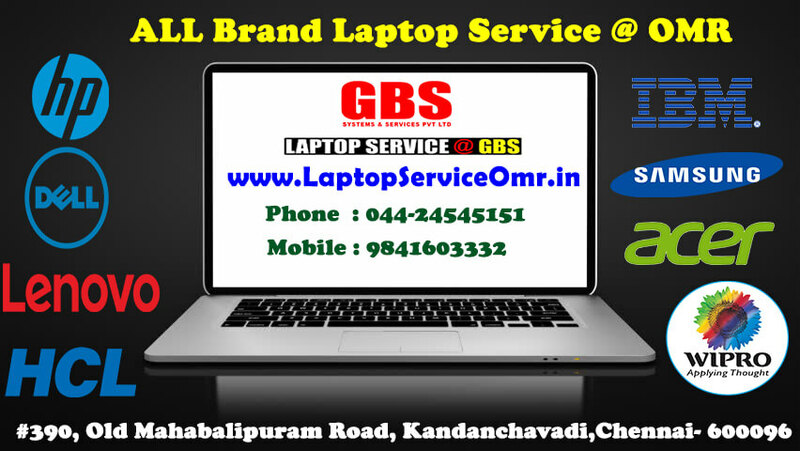 GBS Systems & Services pvt ltd is a No.1 laptop repair and service center in OMR, CHENNAI, COIMBATORE, MADURAI, TRICHY, and BANGALORE India. 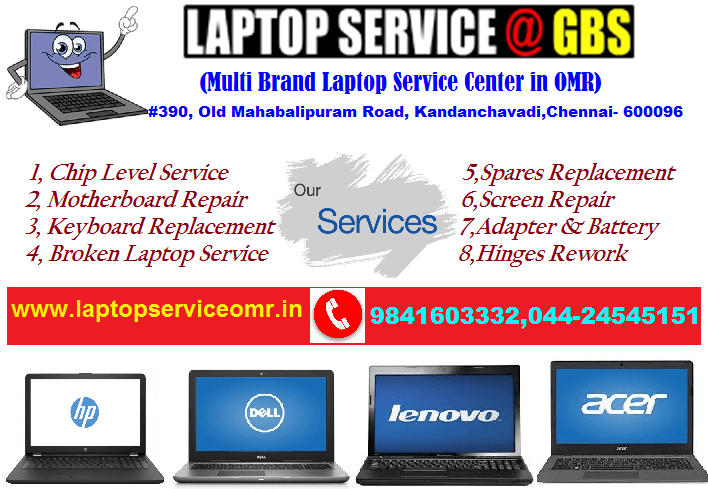 We Provide a best Laptop service for Motherboard, hard-disk and chip-level-service for all the brands of laptops.We offer reliable services and timely delivery at affordable prices.